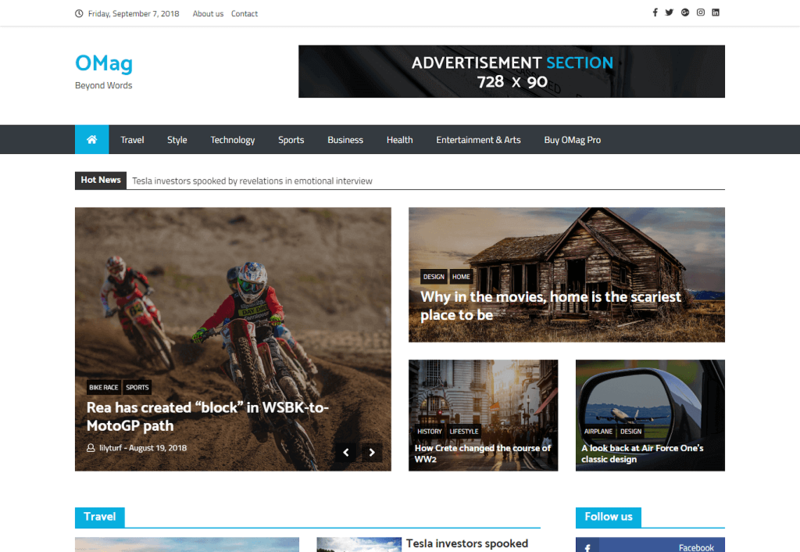 OMag is awesome, beautiful and responsive News & Magazine WordPress theme. Which is perfectly Suitable for news, newspaper, magazine, publishers, blogger etc. OMag comes with many features such as Fully Responsive Design, HTML5 and CSS3 construction (heavily commented), Full width template, Page layout options, Pagination options, Customizable Design & Code,Cross Browser Support, SEO Best Practice build,Fully functioning forms powered by ContactForm 7,Translation ready, Detailed Documentation, News Style ,Custom Widgets, Unlimited Color Options, 100+ Fonts options, Boxed Layout Options and much more.